Jim Condon, a longtime state representative from Colchester and local radio personality known for his "golden pipes," died Thursday of esophageal cancer. "Smart, witty, thoughtful — just a guy you want to be around," his wife, Ginny McGehee, said on Friday. "I lost the smart half of me, I have to say." Born in Connecticut, Condon moved to Vermont in the early 1980s when he took a job as news director of several radio stations. He met McGehee at WJOY in 1984; the couple married in 1993. They have a son, Tom, who is a journalism student at Syracuse University. Condon was part of a group that bought WKDR, where for years he was one half of the "Manno and Condon Show." He and cohost Louie Manno later opened the Radio Deli on the corner of Pearl and Pine streets in Burlington. First elected to serve in Montpelier in 2004, the self-described blue dog Democrat was a big presence at the Statehouse. 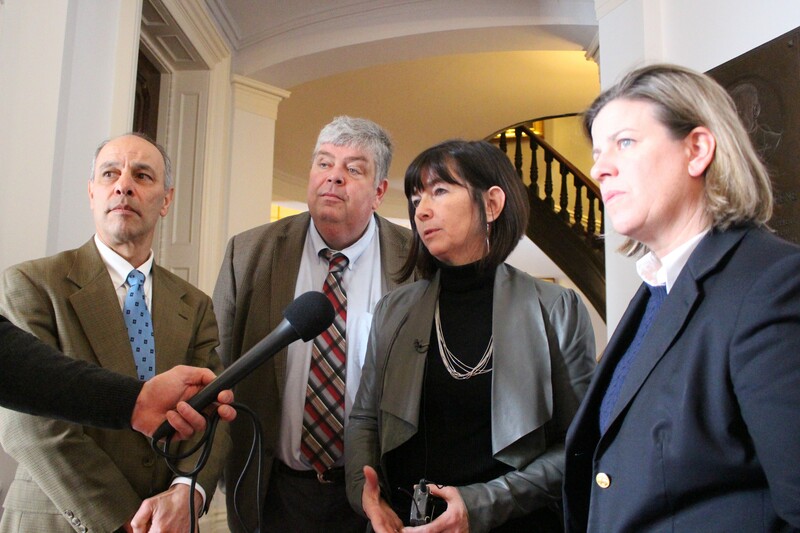 Condon was known in Montpelier as a fiscal conservative who "had a good sense of where people could come to agreement and was able to bridge the differences," House Ways and Means Committee chair Janet Ancel (D-Calais) told Seven Days. She and Condon both served on the committee for the last "eight or 10 years" and became fast friends. Ancel praised Condon for serving his Colchester community well. "He just had one of the biggest hearts I've ever encountered and one of the sharpest wits and one of the brightest minds," Ancel said. "His heart came first, represented by his big, booming voice. He was a rock on the committee and somebody I always looked to for a good sense of where we were able to go." She added: "He was just a very special person. I already miss him." Condon served for the last decade as executive director of the Vermont Association of Broadcasters. “We will remember Jim fondly for his jovial personality, great ‘pipes’ and invaluable service to the broadcasting community of Vermont,” VAB president Wally Caswell said in an email Friday. In July, Condon and McGehee spent eight days visiting their ancestral homeland, Ireland. Condon spent time rooting through both of their families' genealogies, McGehee said. He also surprised his wife with tickets to a Michael Bublé concert in Dublin. After their return, Condon's health continued to deteriorate. The couple marked their 25th wedding anniversary on Tuesday at the McClure Miller VNA Respite House. Condon died Thursday around 9:30 p.m.
McGehee came home to voicemail condolence messages from House Speaker Johnson and Sen. Patrick Leahy (D-Vt.). Dozens of others, including Gov. Phil Scott, had sent well-wishes after Condon first announced he was leaving the legislature. 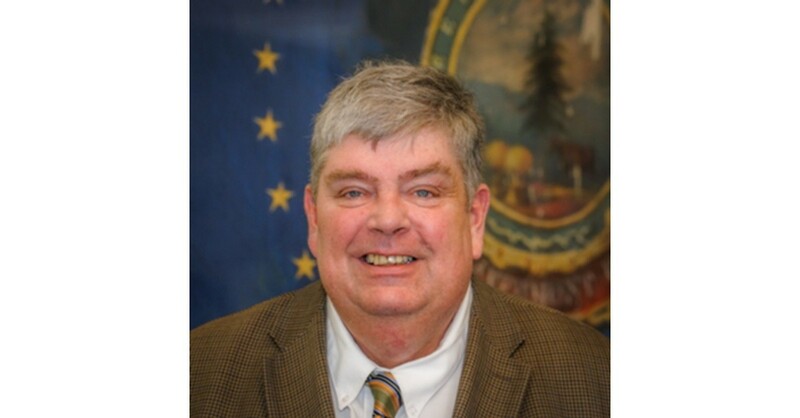 Scott issued a statement Friday remembering Condon as a "remarkable public servant." "He was truly an independent voice, always acting in the best interests of his constituents," the governor said. "Jim was eager to reach across the aisle and work together on important issues." McGehee said she's planning a "big party" in Condon's honor. "Bigger than life," McGehee said of her husband. "The man was very brilliant, and funny, too." In his email, Caswell encouraged local broadcasters to honor Condon through "continued dedication to making our industry relevant and excellent." He added, "There’s a golden studio in the sky just awaiting those golden pipes of yours, Jim!"